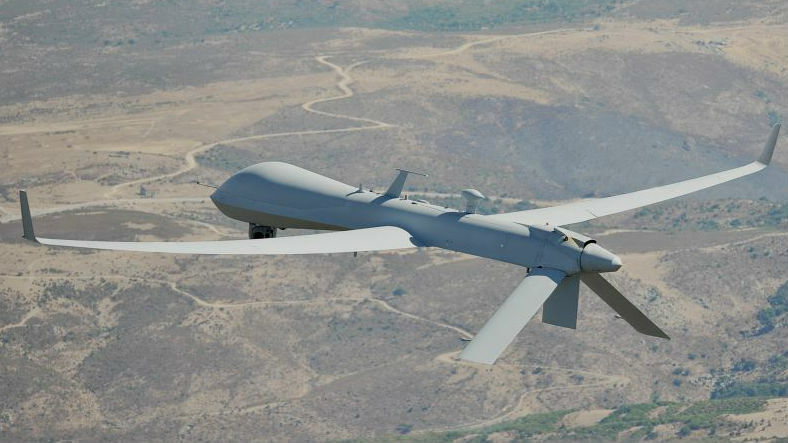 India is in talks with the United States to purchase 40 Predator XP surveillance drones made in San Diego to help monitor its borders with Pakistan and China, officials said. India is trying to equip the military with more unmanned technologies to gather intelligence as well as boost its firepower along the vast land borders. It also wants a closer eye on the Indian Ocean. As defense ties deepen with the United States, which sees India as a counterweight to China in the region, New Delhi has asked Washington for the Predator series of unmanned planes built by San Diego-based General Atomics, military officials said. “We are aware of Predator interest from the Indian Navy. However, it is a government-to-government discussion,” Vivek Lall, chief executive of U.S. and International Strategic Development at General Atomics, told Reuters. The Indian navy wants them for surveillance in the Indian Ocean, where the pilotless aircraft can remain airborne for 35 hours at a stretch, at a time when the Chinese navy is expanding ship and submarine patrols in the region. Moves by India to enhance its defense capabilities have in the past provoked sharp reactions from Islamabad, where the government and military are worried about falling further behind their bigger rival in the arms race. India’s air force has also asked Washington about acquiring around 100 armed Predator C Avenger aircraft, which the United States has used to carry out strikes against Islamist militants in Pakistan’s northwest and neighboring Afghanistan. But it would need clearance from the Missile Technology Control Regime group of 34 nations as well as approval from U.S. Congress before any transfer of lethal Predators could happen, officials said. The push for the drones comes as U.S. Defense Secretary Ash Carter traveled to India for talks to cement military collaboration in the final months of the Obama administration.